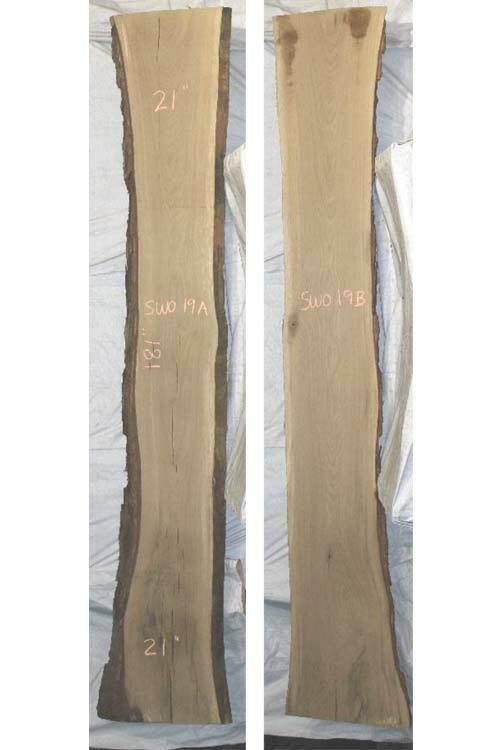 Heartwood is a light to medium brown, commonly with an olive cast. Nearly white to light brown sapwood is not always sharply demarcated from the heartwood. Grain is straight, with a coarse, uneven texture. Produces good results with hand and machine tools. Has moderately high shrinkage values, resulting in mediocre dimensional stability, especially in flatsawn boards. Can react with iron (particularly when wet) and cause staining and discoloration. Responds well to steam-bending. Glues, stains, and finishes well. Rated as very durable; frequently used in boatbuilding and tight cooperage applications.